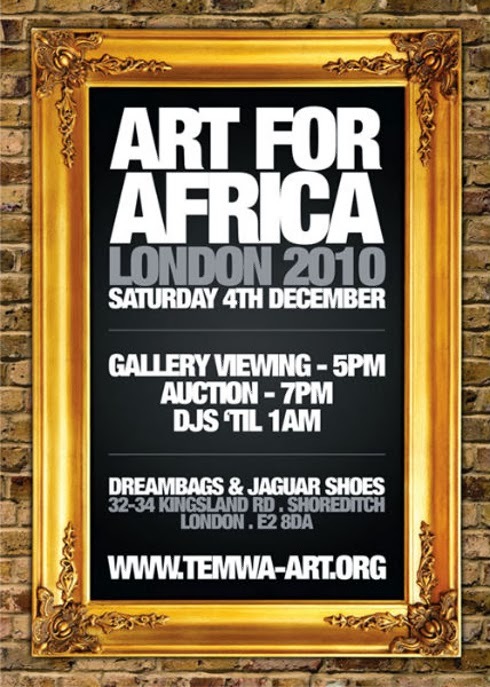 After the success of the past three annual contemporary urban art auctions in Bristol, Temwa will bring Art for Africa to Shoreditch in December in order to raise funds for their community development projects in Malawi. The auction will take place Saturday, 4 December at Jaguar Shoes in Shoreditch, London, with viewings available from 5:00pm and the auction beginning at 7:00pm. Free entry. All artwork has been generously donated by the participating artists, and 100% of the proceeds of this event will go directly to Temwa.